This X-ray of the Pelvis belongs to a 33-year-old man. He was diagnosed to have Rheumatoid Arthritis 2 years ago but was not managed properly. He was only treated with steroids and pain killers by many doctors. He came to see me with pain over the left hip and inability to walk properly over the last few months. 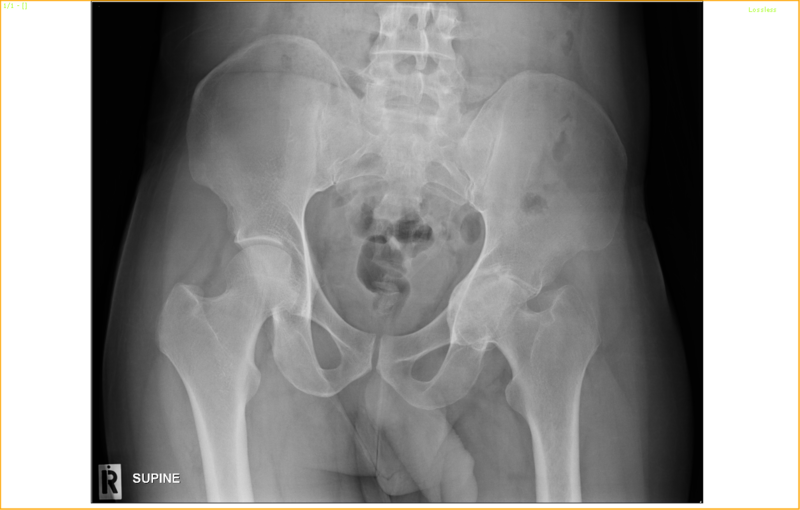 This X-ray shows a severe destruction of the left hip-joint with eroded acetabulum, making the hip-joint to protrude into the pelvis. We call this condition as Petrusio acetabulum. I feel sad for this man as nothing much can be done for the damage that has already occurred. A difficult total hip replacement is possible but he is too young for this to be done unless the pain is unbearable.